August 21, 2017 Oregon will be right in the path of the total solar eclipse at about 10:19am. While the best viewing spot will be in Salem, it’s OK if you want to stay in Portland for the big moment. Most known campsites were completely sold out a while back. The State Fair Grounds will be hosting a Solar Fest; all 5,500 spaces were sold out long ago. Many farms, vineyards of the Willamette Valley, and even our State Capitol Mall are in on hosting activities for the big day. Some family farms may still have rustic camping options available, but if you are going to go this route, make sure you come prepared with water, food, and the ability to survive should Oregonians cause a little havoc with our unique ability to massively shut down activity for such an awesome rare occurrence. FYI to say traffic will be horrid, is an understatement – think zombie apocalypse, or two inches of snow in December. We will likely have at least a million tourists descend upon us. We’re excited. We love cool people who enjoy science, so this is going to be fun for us! If you are looking for events (the celebration is starting on the 18th and running through the 21st, here is where to look first. If you want to stay here in Portland, then stay right here. We should enjoy a 99.4% eclipse. Where should you go if your front yard or back yard isn’t your first choice? Anywhere on the waterfront. Seriously go walk outside there will be thousands of downtown offices taking a break, employees walking out on to the bridges and out to Tom McCall Waterfront Park and enjoying. Bosses, please do yourself a favor, pre-order NASA approved glasses at www.amazon.com look for American Paper Optics, Rainbow Symphony, Thousand Oaks Optical, or Beader Planetarium manufactured glasses with the “ISO” label. They must also reference #12312-2, not be pre-used, warped, or damaged. A box of 25 will likely cost you about $25-35, if you buy today. If you want to go to Pittock Mansion, or other optimum viewing sites, plan to go very early. Remember the park grounds open just before sunrise if you aren’t hiking in, you may not get a parking spot if you go later than that. Cheers to the sun and the moon and everyone coming together right here in Oregon! This summer in Portland is all about rustic wine country farms. Rustic open fields and barns are hot and chandelier-adorned ballrooms are not. The most important thing you need to know about a rustic wedding is that they are not necessarily more affordable than a classic black-tie worthy ballroom wedding. We know you paid close attention to your basic econ classes in high school and college, so rule #1 of economics–supply and demand determines market price–applies here. In Portland, we have a large supply of rustic farm style venues (good for the consumer bride) but the demand is so high nationwide that we see now people coming to Portland for our venues, food and perfect summer weather weddings as a hot destination spot from California, Seattle, and even New York. What that means is you have to trust an expert to help you find the venues everyone hasn’t searched for online from far away, if you want to find a good price for an in-season rustic farm style venue (assuming they aren’t already booked through 2018). Things to keep in mind: Some rustic venues include basic tables and standard sturdy wedding chairs, white or black basic linens and lots of natural beauty – but very little else. Your typical rustic venue is going to cost between $3,000 and $7,000 for a peak Saturday. That does not include catering, decor, rustic chic wooden rental tables, upgraded chair rentals, flowers, lighting (beyond what is standard at the venue)–did we mention flowers? I’m going to say it again because flowers are an often overlooked necessary expense you should splurge on if you’re going for a rustic venue. It’s important to note that farm venues are working farms, sometimes open to the public vineyards, and people’s homes and property. 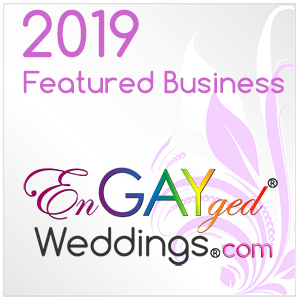 Therefore many require you to work with only a select group of vendors, their specific wedding planner, and if they allow you to choose your own vendors, they will at least require you to work with a very inclusive caterer or a “Day of” wedding planner. The term “Day of” wedding planner confuses a lot of couples planning a wedding on their own. Most wedding planners are booking up for 2018 already, many don’t have any availability left in the summer of 2017. So if you thought you could wait until close to your wedding to hire a “Day of” planner, you are going to be out of luck. In Oregon, event planners book up for our very short very peak summer season. If you find a team or planner you like you have to book them early. And if they are a smaller planning company, or a diverse company that also does non-profit and corporate events, they only have so much bandwidth to take on “Day of” weddings. The problem with “Day of” weddings, the wedding planner’s event planning bread and butter is the referral and the guest who enjoyed their experience so much they want to know who the planner was. It’s impossible for a professional to accept a true “Day of” job in an industry where your reputation and style are everything. It’s hard enough for a professional to put their name on an event they didn’t play a part in planning. If it is not their decor, floral and table setting designs, and vendor suggestions, they don’t want anyone faulting them if the quality is out of their hands. You will find for this reason most professionals will not accept “Day of” events. Instead, we offer “Month of” services. With a month of service, professional planners will typically find the gaps in your design, and plans long before your wedding day. They’ll be able to tell you months before it is too late how you could save money, stress, or disasters by making a few small tweaks. They’ll make your last several months before your wedding FUN, less stressful, and worry-free. They’ll help you dot every “i,” cross every “t,” confirm every single detail with every single vendor and handle a ton of those last minute calls, emails and details you really don’t need to do – since you’re required to pay for their services anyway. Some of us can and will offer you floral designs, set up and assistance for your seating charts, place cards, favors, place settings, specialty linens and rentals, sweets table design, signage, and we’ll be there for your rehearsal and every minute of your ceremony and reception, to make sure everything happens exactly according to schedule. The more personalized elements you add, the more you need a professional wedding planner. So why do we not just show up on the day of your event? Because our services are priceless, and we book up for peak season with all the couples who need full service or month of services. Professionals aren’t available for “Day of” for the same reason venues are more expensive during the summer – supply and demand. My best advice to any couple who’s just gotten engaged, hire a full service planner FIRST. A good professional will offer you a free consultation. From that consultation most will offer a basic inexpensive guide to planning your wedding, including venue and vendor recommendations, they’ll help you set a very realistic budget and give you a complete guide to doing it all yourself. These packages at Vareus Events start at $50 for very basic starting points, if we met through a referral from a preferred venue or vendor, or if we met at a show or pop-up wedding planning workshop. It’s only $200 for complete getting started plans. If you are just engaged, call us first and you’ll probably save up to ten times that amount in your time and wedding costs. If you later book us for complete or Month Of services, we will deduct that up front amount from your total services package price. Step 2: If you already selected a venue, and you know you will need a wedding planner hire your planner ASAP. Their “Month of” Services don’t mean they won’t get involved in your planning process before the month of your wedding. The sooner you book them, the more help you will get and it is usually already included in your package. Step 3: If you are coming up on your wedding date and realize you need a “Day of” planner, look to a novice or mom n pop style planners who may not be booked up far in advance. Don’t hesitate to call a preferred planner first, you never know if there may be a date they just never completely booked, and they may be available to help you at their “Month of” rate. If you are still finding it hard to find a “Day of” planner, call your caterer. They often have connections within the industry and may be able to help you. It’s almost time for Prom in Portland, and we’re here to tell you what the trends are thing. Thankfully, Prom has changed since we were kids. Today’s teens can go bold with beautiful floral patterns, lace And sparkle everywhere, and two piece ball gowns that will make any teen feel like they aren’t trying to grow up too fast – even if college is right around the corner. This Spring, Prom dresses will be in soft Tiffany green, sparkled with bling and see-through barely-there nudes, golden metallic, covered in romantic lace, and if it’s a ball gown it will be in two pieces. Light Tiffany green is almost as prevelant as bold florals in Prom 2017 trends. We love Tiffany as much as your next Audrey Hepburn fan, but if you don’t want your prom group photos to look like 2005 wedding party pics with everyone exactly the same, maybe look away from the beautiful perfection that is this color. We didn’t really enjoy last year’s trend of completely open backs with bare skin cut-outs on the sides, not because we are prudes, but it just didn’t look comfortable or flawless. This year designers have kept the appearance of open flow and sparkle, without all the stress. Using lace and barely-there nudes, all while keeping the open backs, designers have nailed the perfect open look. It’s brilliant, and we think dancing will be a lot more fun if nobody is afraid things will not remain where they belong. As teens in the 90s, every dress trend was big and puffy. Puffy giant bows, puffy giant sleeves, or best ever, the Juliet look where you could have been nine months pregnant or a size two and worn the exact same dress. It wasn’t cute. Today’s teens mostly trend toward form-fitting or soft ball gowns, but when they go big and princessy, they do it in two pieces. The tops can be covered in jewels and lace, or simple and sleek. The bottoms are either bold and colorful, or princess cupcake style with layers of tulle. It’s a sweet young look, we appreciate. Your Seniors may want to look more grown up, and we guess that’s to be expected as most of them are adults now. Finally, let’s talk Hollywood romance and glam inspired. As we all saw as we watched this year’s award season of red carpet fashions, gold metallic or lace overlays everywhere is the biggest trend of 2017. We love Hollywood for this! We can’t think of anyone who shouldn’t wear gold, it is beautiful on every skin tone, hair color and body-type. And lace in any color, well we are in the wedding business, so always lace is our favorite thing. Our favorite is Christella’s. They’ve recently moved to Vernonia, but the snow is gone and it’s a beautiful drive we think is totally worth it. Make sure you set an appointment. Charlotte’s Bridal Fashion -conveniently located right near Jesuit High School, it’s an easy drive for most of the Metro Market Area. Set an appointment. The Vault – vintage dress shop in Beaverton. Xtabay Vintage, specializing in vintage masterpieces. They have limited hours and you may want to call ahead.